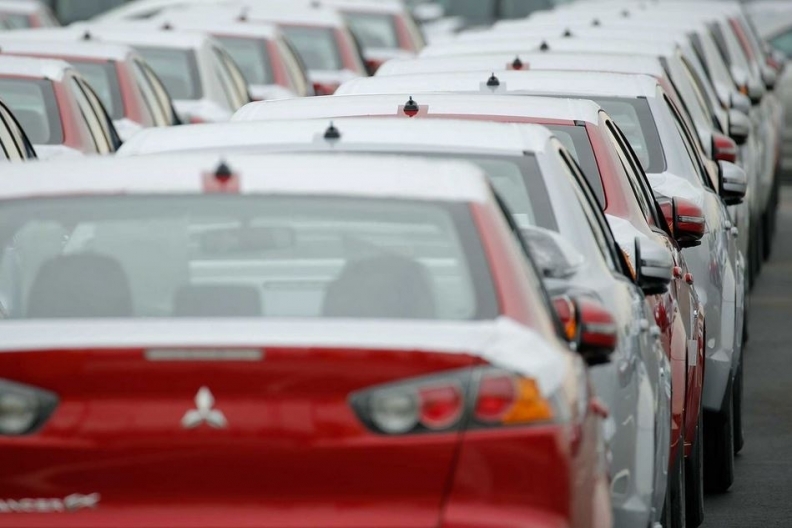 Orders for Mitsubishi vehicles in Japan have plunged after the company first revealed it had overstated the fuel economy of its minicars by as much as 10 percent. Nissan Motor Co. may invest more than 200 billion yen ($1.84 billion) in a play to take over Mitsubishi Motors Corp., two people familiar with the matter told Reuters. The boards of Nissan and Mitsubishi Motors will meet separately on Thursday to decide investment and operational details, sources from each carmaker told Reuters. Mitsubishi, which admitted last month to cheating on fuel-economy ratings, said today that nine more models including an SUV may not have been properly tested as the scandal spreads beyond the initial batch of minicars. Orders for Mitsubishi vehicles in Japan have plunged after the company first revealed it had overstated the fuel economy of its minicars by as much as 10 percent. The scandal has also affected Nissan, which sold two of the minicar models under a partnership agreement. Mitsubishi Motors hasn’t sought support from Mitsubishi group companies and aims to solve the crisis on its own, CEO Osamu Masuko said at today's press briefing in Tokyo. The company should be able to handle compensation with its own resources, he said. Mitsubishi Motors shares have fallen 43 percent since April 19, closing Wednesday in Tokyo at 495 yen. If the 200 billion yen deal goes through, Nissan, Japan's second-largest automaker by sales, would become the largest single shareholder of the much smaller Mitsubishi Motors. The deal would give Nissan a bigger stake in Mitsubishi than its 15 percent holding in alliance partner Renault. The French automaker holds a 43.4 percent stake in Nissan. A spokeswoman for the Renault-Nissan Alliance declined comment on the report. Press officials for Nissan and Mitsubishi could not immediately be reached for comment. The news comes just hours after Mitsubishi Motors said it had enough cash to weather the scandal and warned non-compliant data may have been used to calculate the fuel economy for more of its cars. The automaker is part of the Mitsubishi business empire, or "zaibatsu," which was split up into independent companies after the Second World War. It has strong ties with its sister companies, including Mitsubishi Heavy Industries Ltd., Mitsubishi Corp., and the Bank of Tokyo-Mitsubishi UFJ, which together with subsidiaries hold roughly a 34 percent stake in the automaker. As a result of its mileage scandal, Mitsubishi is facing up to $1 billion in compensation payments to its customers for 'eco-car' taxes and extra fuel costs, along with payments to Nissan over the rigged readings, analysts have projected. Mitsubishi halted production of the four models in question late last month. Its brand image weakened, it was unable to recover on its own and received a major bailout from other Mitsubishi Group companies in 2004, after which it continued to be plagued by recall and quality issues.